Give them another reason to raise a glass. These coordinated ultra-thick coasters are the perfect perch for any beverage. 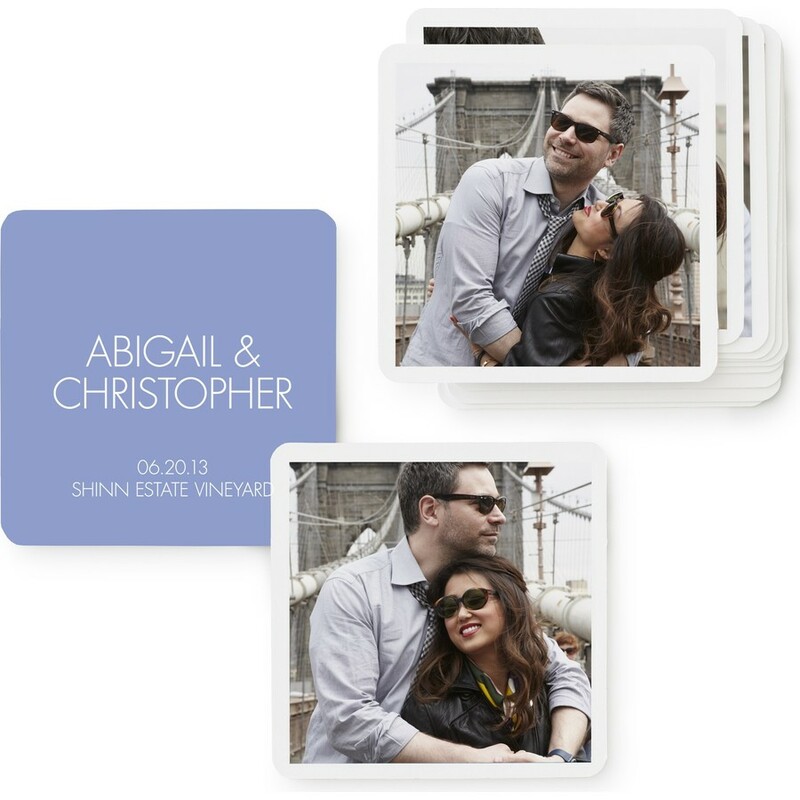 Once you personalize with your creative theme and add your favorite photos, your guests will never want to put down their drinks. Coordinates with the Modern suite.